Hofstede’s national culture model has been applied in prior research to better understand the management of multinational firms. That research suggests that national culture may influence the information systems planning autonomy of the subsidiaries of multinational firms, but such an impact has not yet been tested empirically. A postal survey of 131 chief information officers and 103 senior non-IS managers of U.S. subsidiaries of such firms collected data to test hypotheses based on the model. Structural equation modeling using PLS-Graph 3.0 revealed that Individualism-Collectivism, Masculinity-Femininity, and Uncertainty Avoidance predicted autonomy for particular IS planning phases (as rated by the CIOs). On the basis of the supported hypotheses, the study provides evidence of the relevance of the national culture model to IS planning effectiveness and IS contribution. The study also suggests to subsidiary managers that an understanding of the national culture of their parent firm can help them gain an insight into the parent’s management perspective. Fifty-three of the 100 largest “economies” in the world today are not nations, but instead are multinational corporations. Of the more than 60,000 such corporations, one thousand account for 80% of the world's industrial production. These firms employ 90 million people, pay more than $1.5 trillion in wages, and contribute 25% of the gross world product (Gabel & Bruner, 2003). However, each country in which a multinational firm operates has a distinct economic, political, legal, industrial, competitive market, and cultural context. Businesses must be responsive to this diversity, especially when integrating their different operations (Akmanligil & Palvia, 2004; Makino, Isobe, & Chan, 2004; Martinsons & Davison, 2007). Today’s growing globalization, with the corporate parent in one culture and the subsidiaries in another, is increasing the need to manage the impact of culture on organizational choices (Kankanhalli et al., 2004). Likewise, today’s growing dependence on information systems is increasing the need to make the choices that provide the systems that contribute the most to the organization (Grover & Segars, 2005). The consequences of choosing information systems that fail to meet needs are too great. Not surprisingly therefore, both culture and information systems planning have been a subject of interest to researchers (Mohdzain & Ward, 2007). 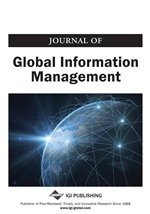 Several researchers have studied the impact of national culture in information systems. They have done so in terms of the impact on users, information systems developers, and information systems management. User research has included user attitudes (Igbaria & Zviran, 1991; Igbaria, 1992; Harris & Davison, 1999); group support systems usage (Watson et al., 1994); electronic communication media selection (Straub, 1994); adaptation and usage characteristics (Igbaria & Zviran, 1996); self-efficacy (Igbaria & Iivari, 1995); human behavior in information systems usage (Walczuch et al., 1995; Burn et al., 1993; Burn et al., 1997; Gefen & Straub, 1997; Robichaux & Cooper, 1998; Davison & Jordan, 1998; Hanke & Teo, 2003; Myers & Tan, 2002; Straub et al., 2002: Tan et al., 1998; Smith, 2001); e-commerce buying behavior (Chai & Pavlou, 2004; Pavlou & Chai, 2002; Pereira, 1998); online auction (Ho et al., 2007); performance (Lippert & Volkmar, 2007); information overload (Kock et al., 2008); and satisfaction (Reinig et al., 2009). Information systems developer research has included perceptions of system usability (Del Galdo & Nielson, 1996); icon and interface effectiveness (Ito & Nakakoji, 1996; Nakakoji, 1996; Sturrock & Kirwan, 1996; McDougall et al., 1998); technical, political, and social values of IS developers (Kankanhalli et al., 2004); cross-border ecommerce (Sinkovics et al., 2007); and knowledge communication (Siau et al., 2007). Information systems management research has included information privacy (Milberg et al., 2000); software project management (Tan et al., 2003); and outsourcing (Ramingwong & Sajeev, 2007). Thus, the IS literature has seen an abundance of cross-cultural research (Ford et al., 2003).